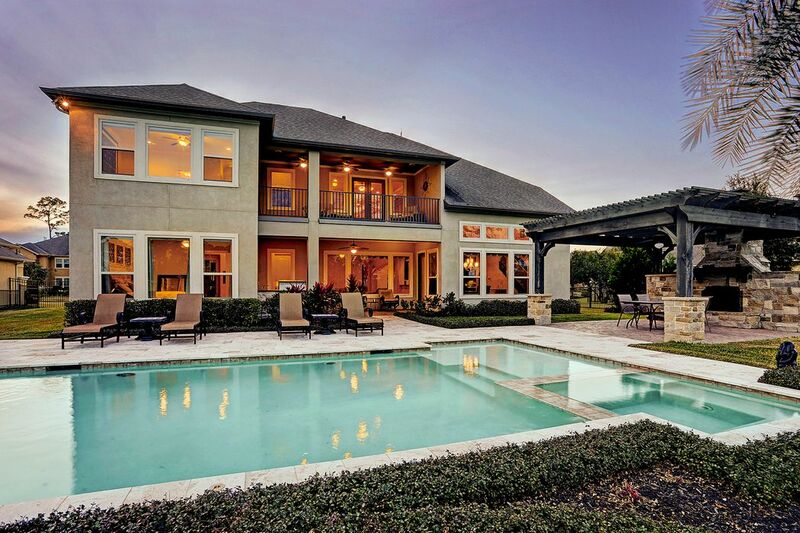 8303 Caroline Ridge, Humble, TX 77396 | Martha Turner Sotheby's International Realty, Inc.
$949,000 5 Bedrooms4 Full / 1 Partial Baths5,659 sq. 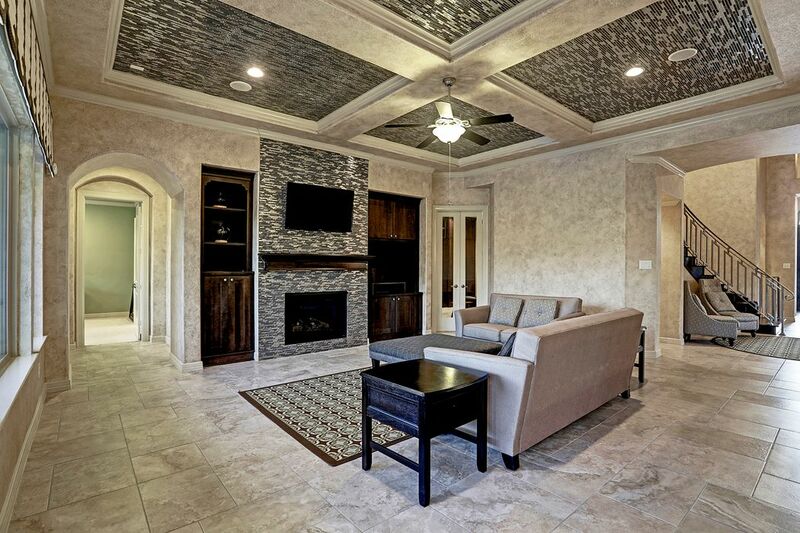 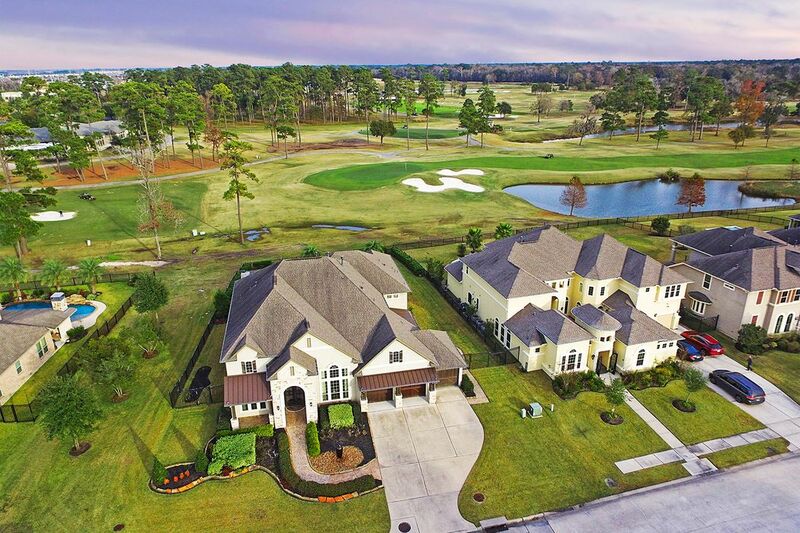 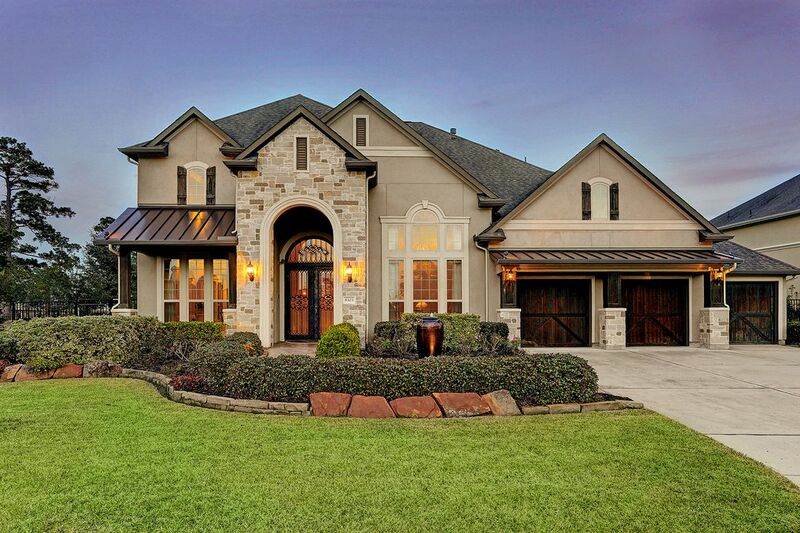 ft.
Model home built by Taylor Morrison, on a spectacular lot in Fall Creek, overlooks the ninth hole and club house of Golf Club of Houston. 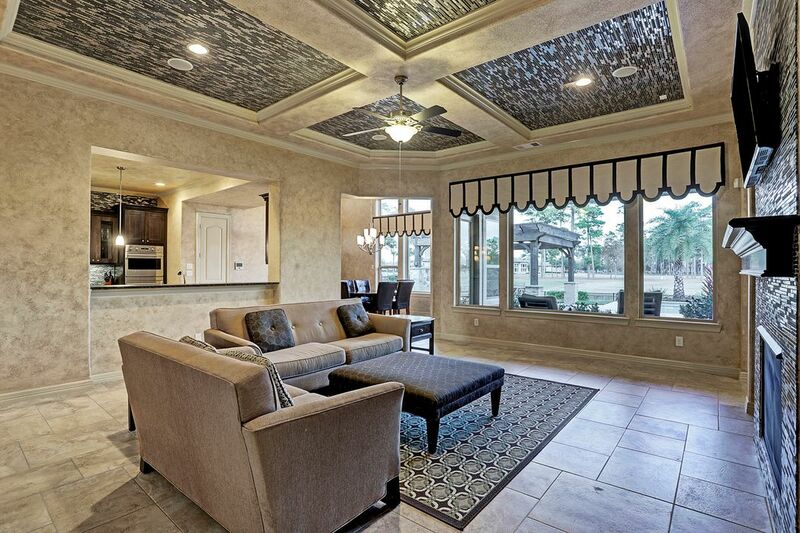 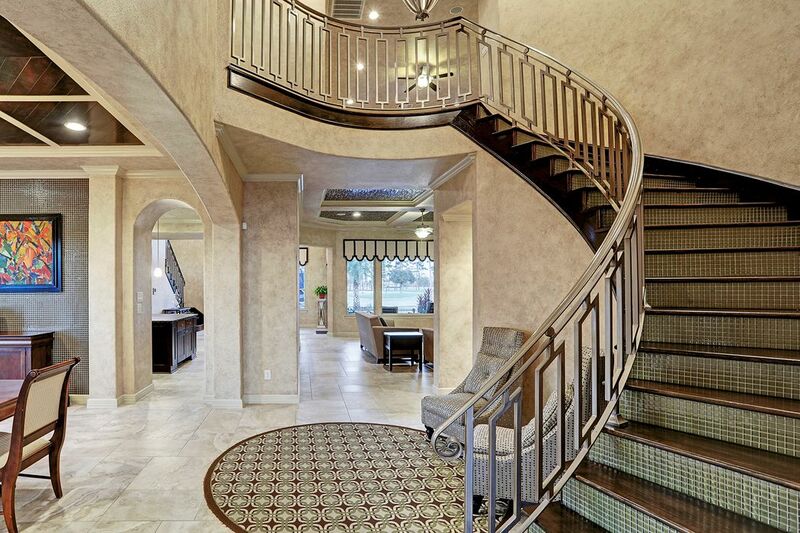 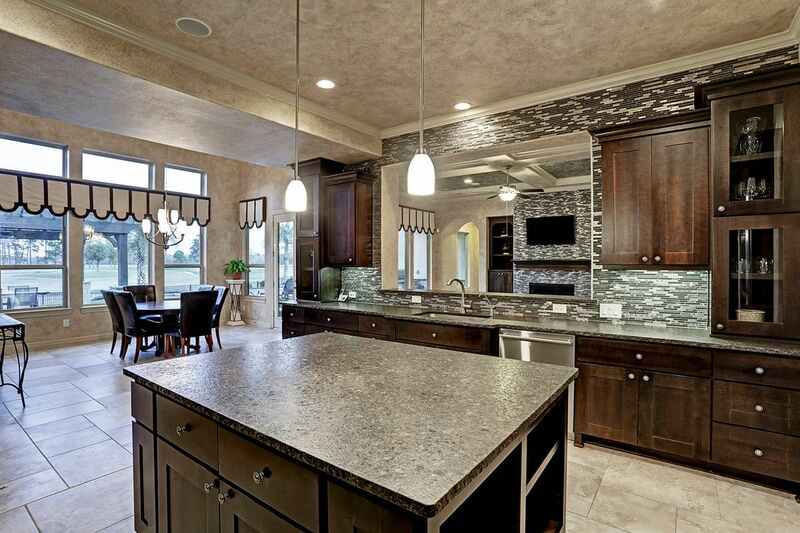 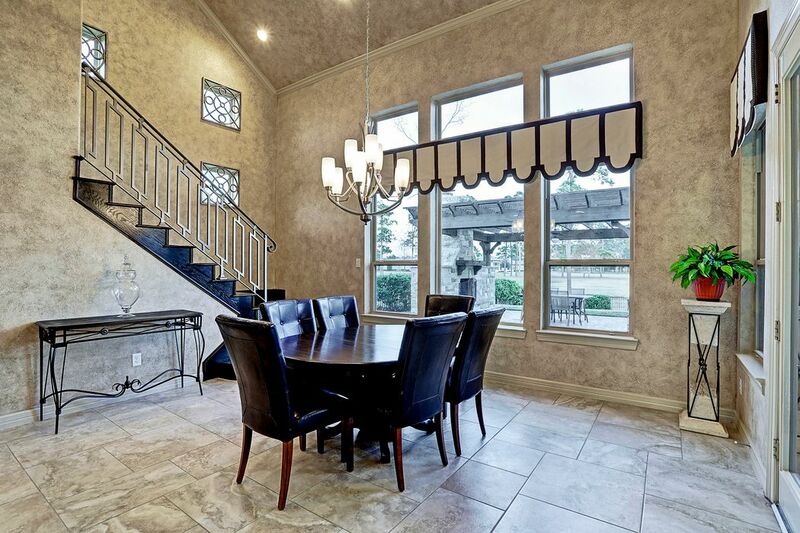 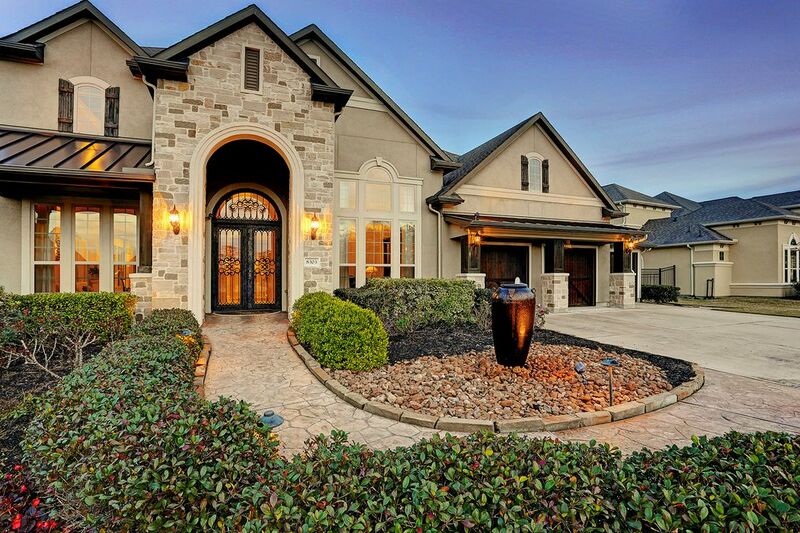 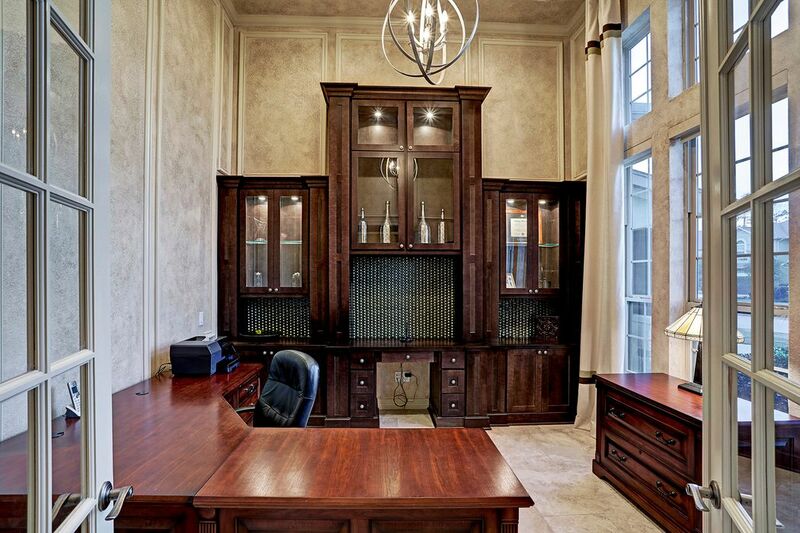 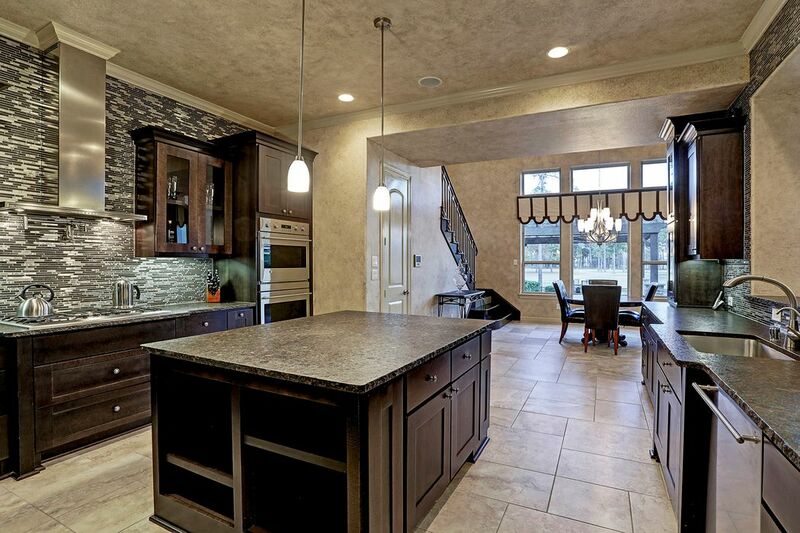 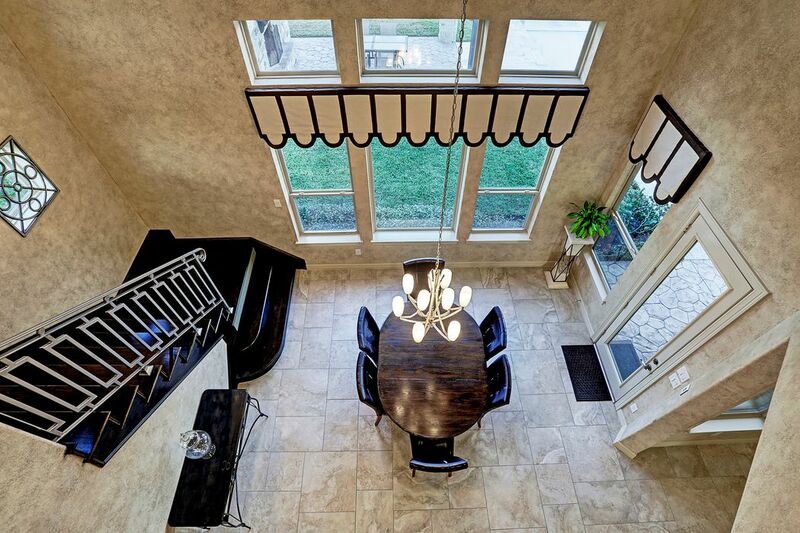 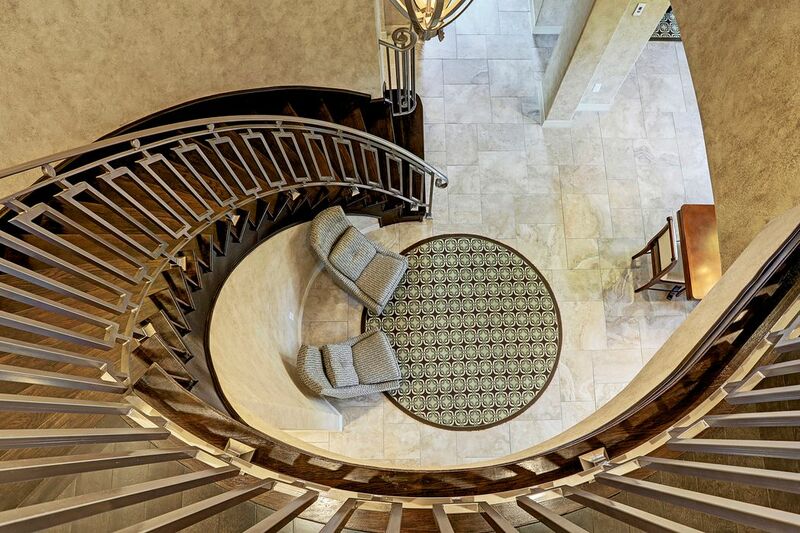 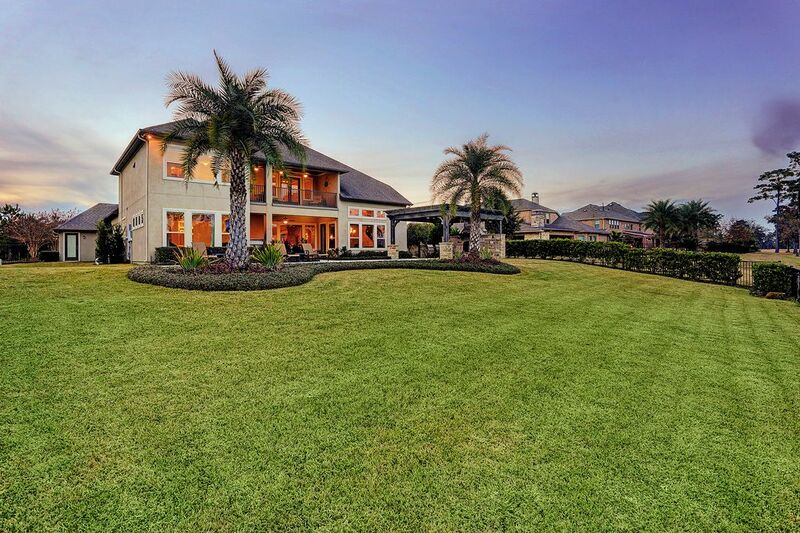 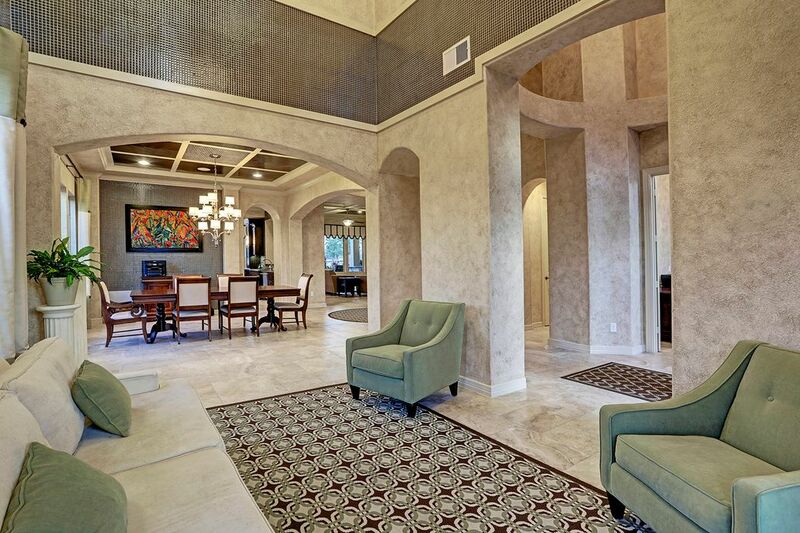 Welcomed by the grand foyer with dramatic ceilings, this elegant home boasts 5 bedrooms, 5.5 baths and a 3-car garage. 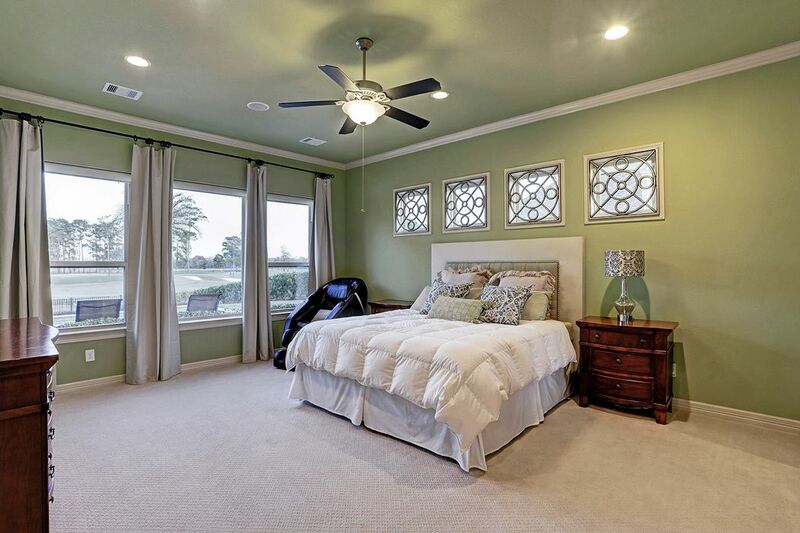 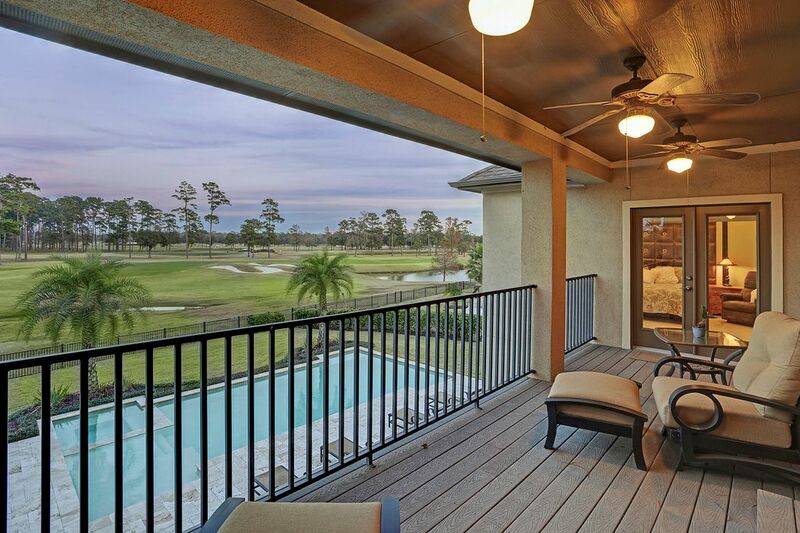 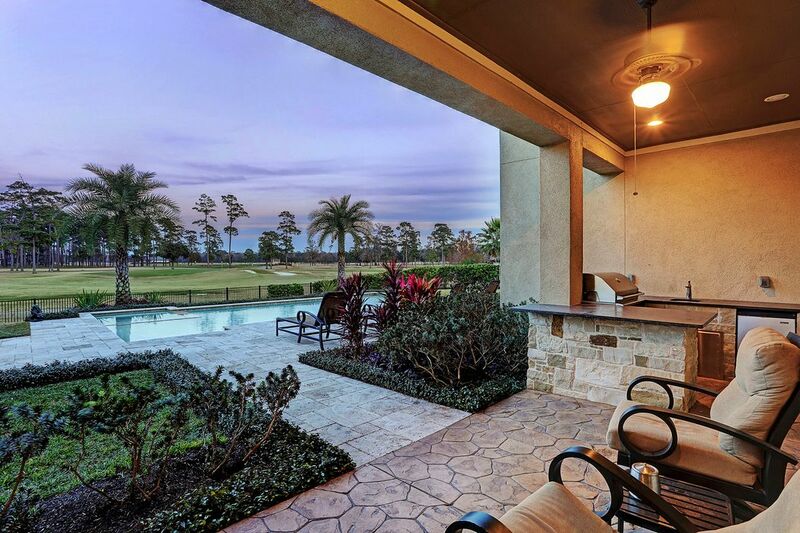 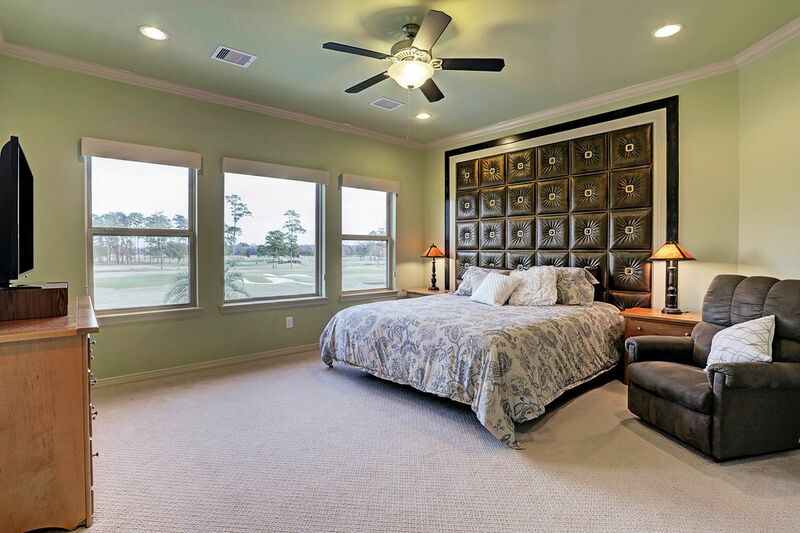 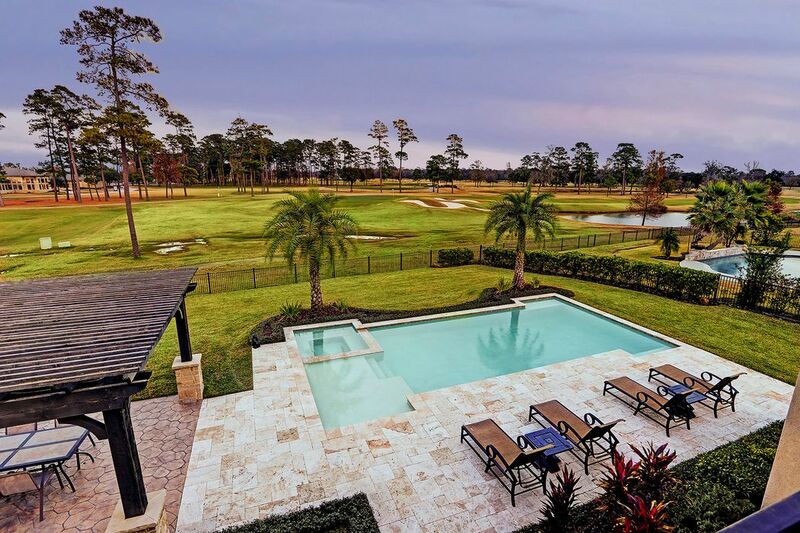 The luxurious first-floor master suite has a sitting area with views of the golf course. 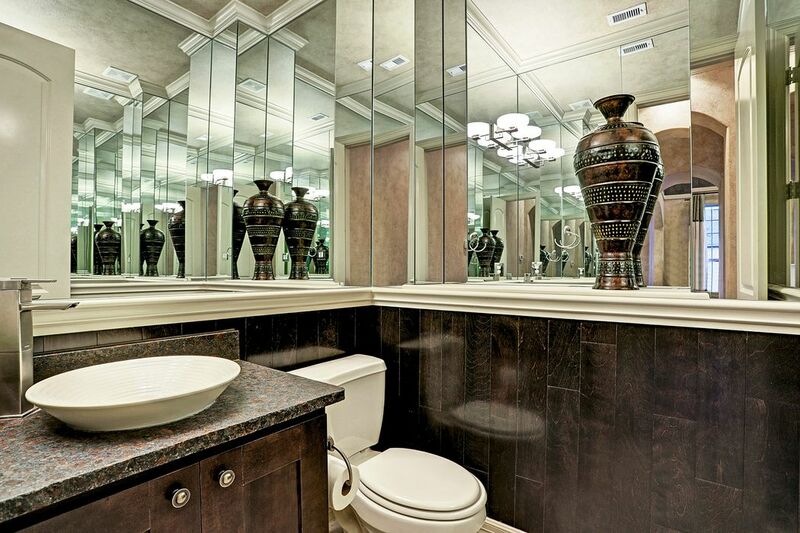 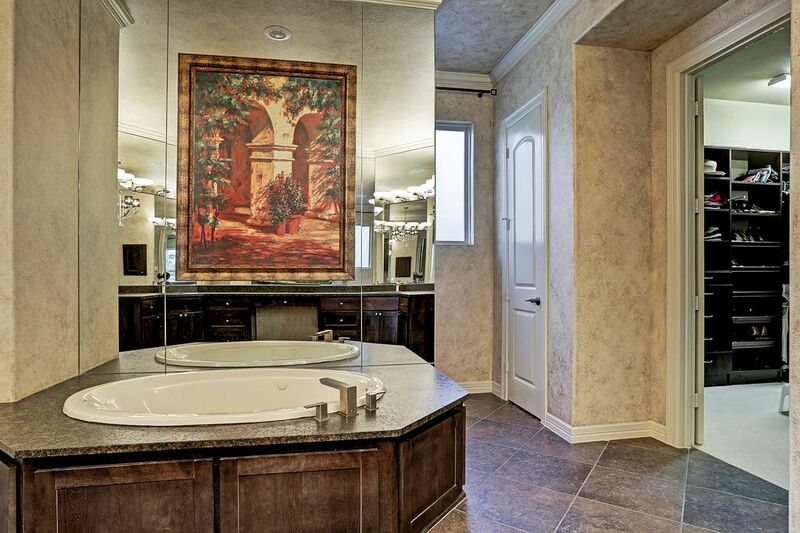 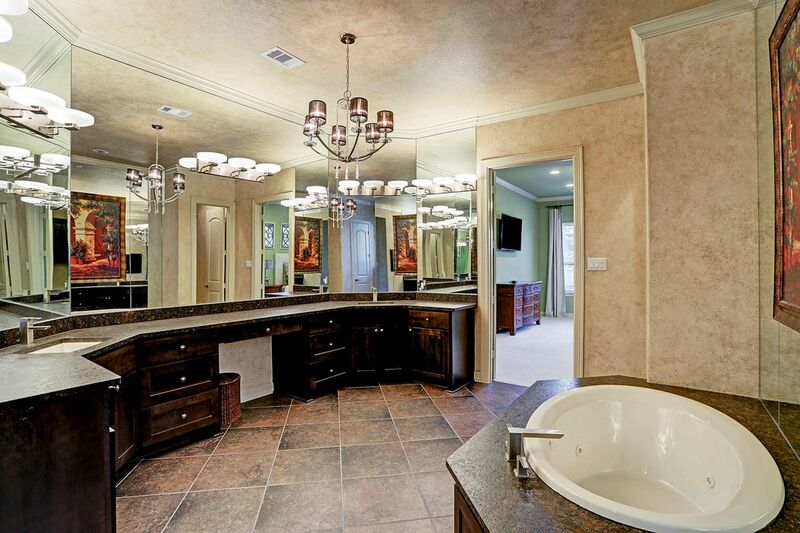 The master bath includes huge walk-in closets, a large soaking tub and separate oversized walk-in shower. 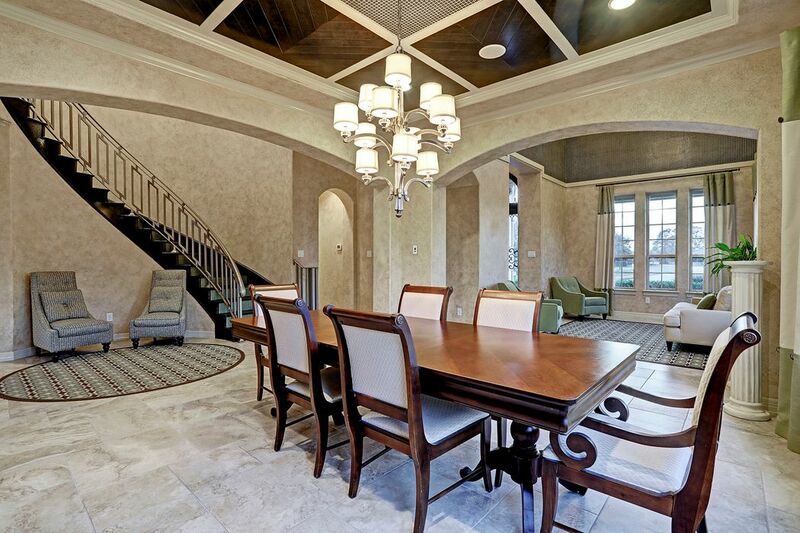 Downstairs also includes a dramatic formal living room, study, spacious gourmet kitchen, breakfast area and den with a wall-of-windows that overlooks the resort-style backyard. 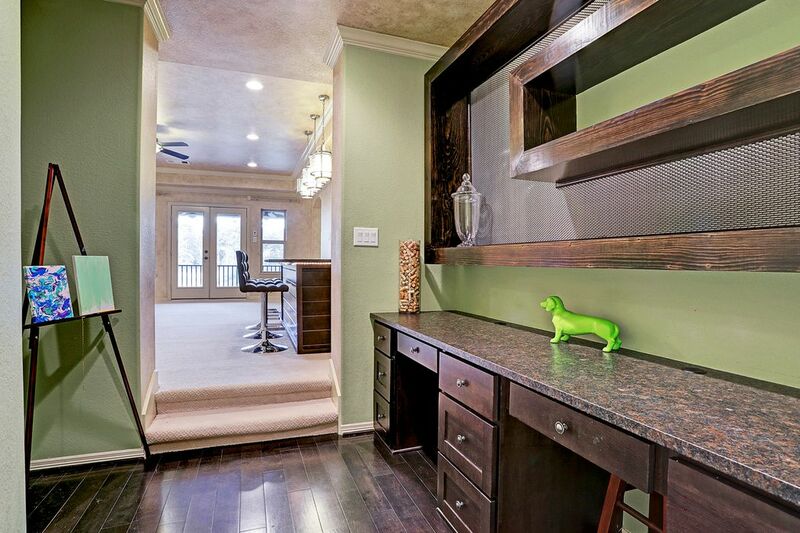 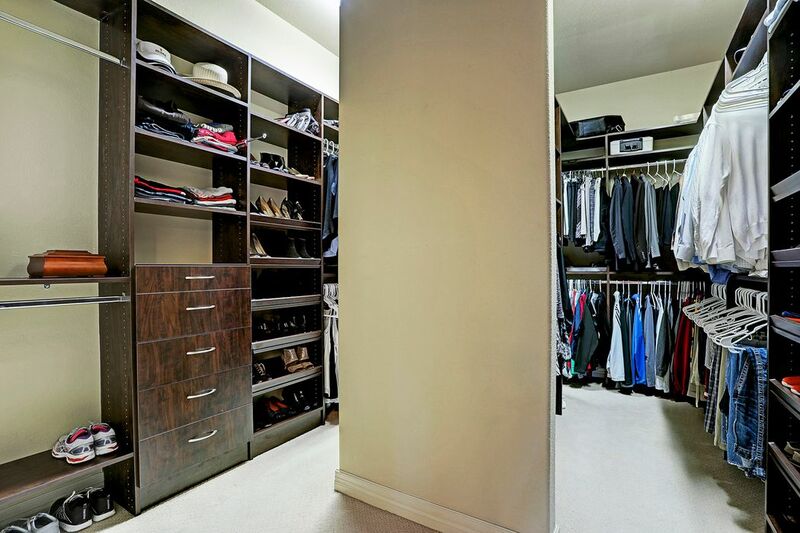 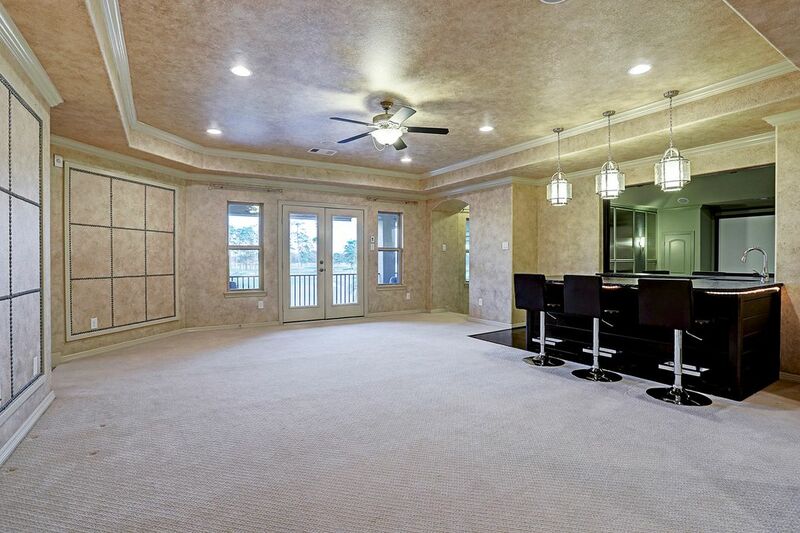 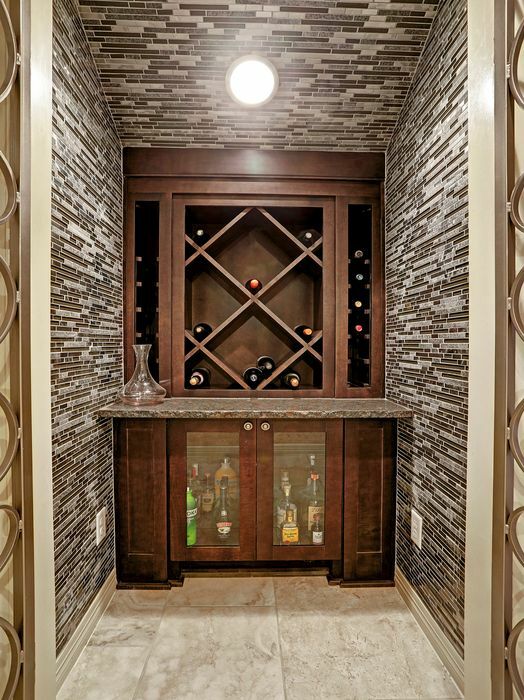 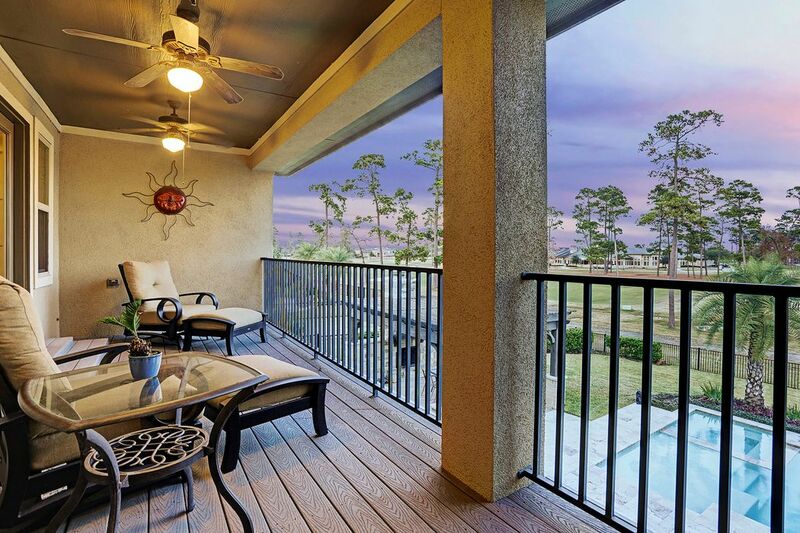 Don't miss the wine grotto, flex room and abundance of storage closets. 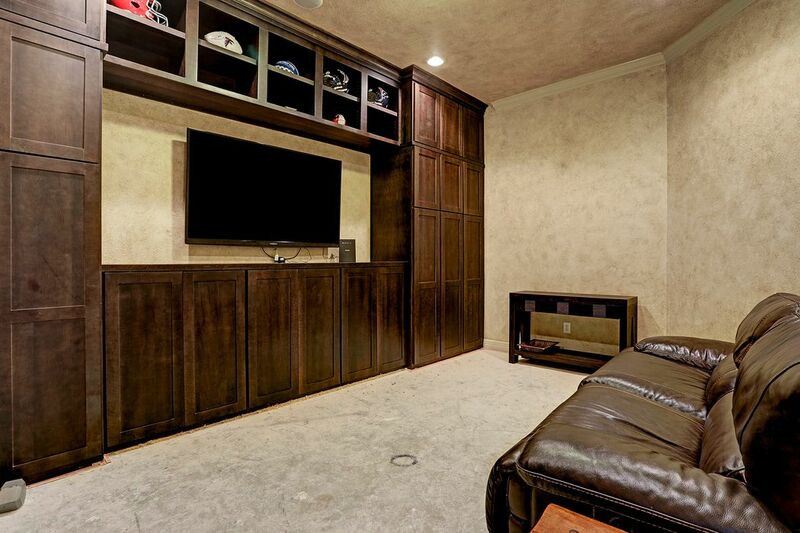 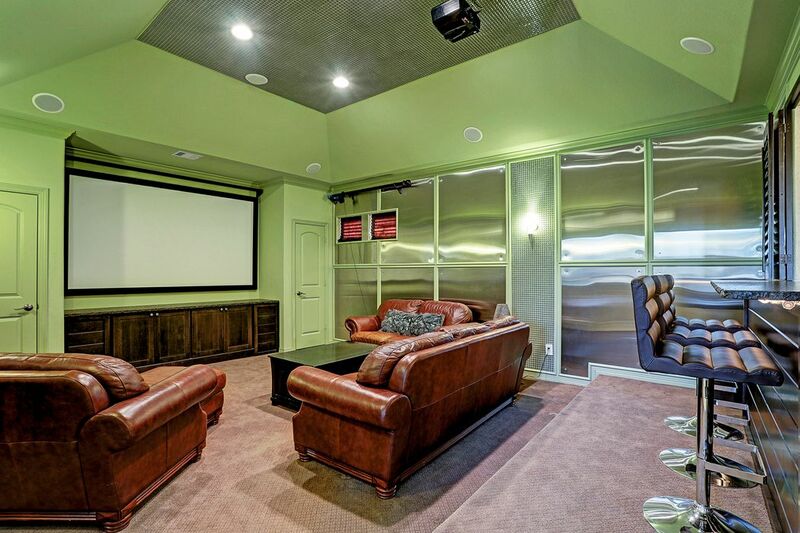 Upstairs has a game room and separate media room with upstairs patio to enjoy. 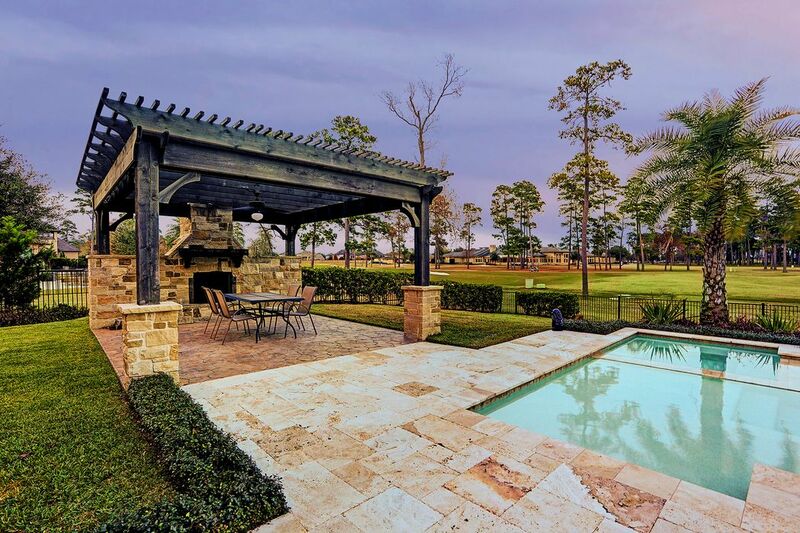 Backyard features an outdoor kitchen and sitting area with fireplace overlooking the custom heated pool/spa, built 2014.